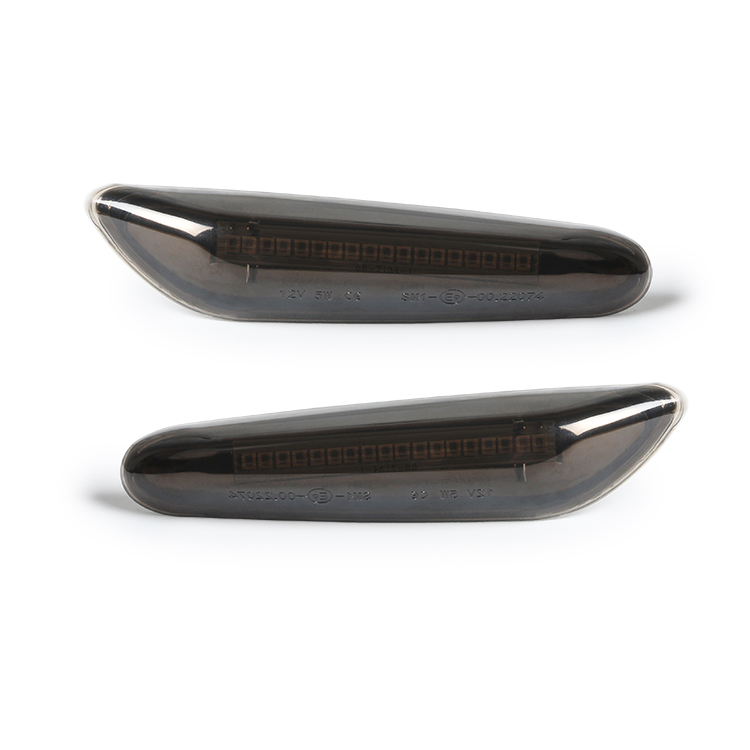 BMW 1 3 5 X Series SMOKED LED SIDE REPEATERS (Non-Sequential Version) - SALE! Replacement Dynamic LED Side Repeaters in Smoked Lense for BMW E Chassis models E81 E87 E82 E88 1 series; E46 4/5 Door Facelift 01-05; E90 E91 E92 E93 3 Series; E60 E61 5 Series; E84 X1 Series; E83 X3 series and E53 X5 Series. 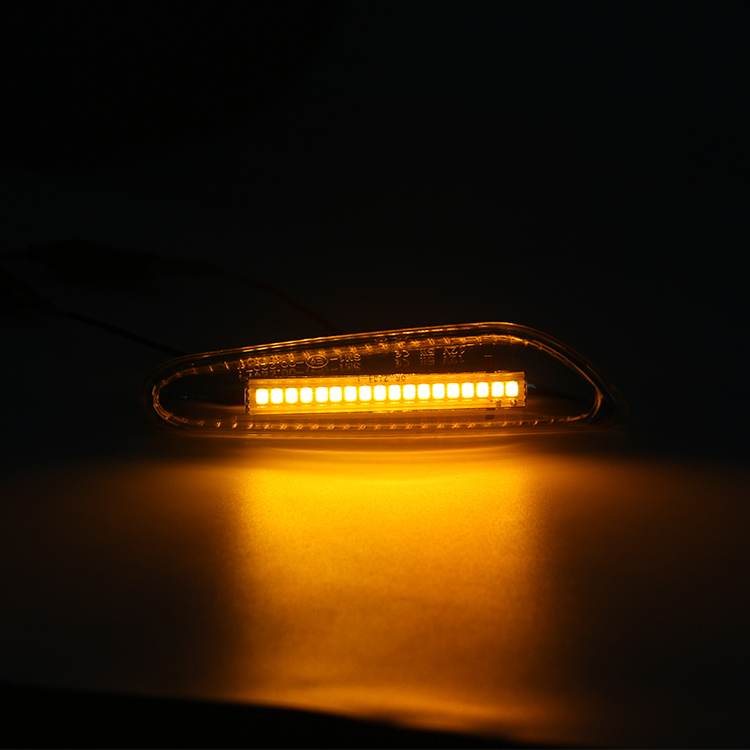 Light smoked lenses give you a stealth and sportier look, and with the SMD LED bar built-in, they emit a bright amber colour when working providing improved road safety and a more modern appearance to your vehicle. We also offer the same design with the DYNAMIC SEQUENTIAL LED VERSION HERE.